The Specialist Fraud Division is a dedicated prosecuting team within the CPS which deals with the most serious, complex and difficult economic crime cases, including bribery and corruption. It has a national remit and the specialist expertise to prosecute cases investigated by police and a range of other investigative agencies throughout England and Wales. The Division primarily takes economic crime from specialist units in the City of London Police and the Metropolitan Police Service, but has a number of cases investigated by other forces and has arrangements in place to work with the National Crime Agency (NCA) Economic Crime Command (ECC) and regional police fraud units. SFD also prosecutes all criminal tax, excise and strategic export cases, which are subject to criminal investigations by Her Majesty's Revenue and Customs (HMRC), in England and Wales. In addition, SFD prosecutes all criminal cases relating to benefits and child maintenance legislation which are investigated by the Department of Work and Pensions (DWP); NHS fraud investigated by NHS Protect; and criminal matters investigated by the Department for Environment, Food and Rural Affairs (Defra) and the Medicines and Healthcare Products Regulatory Agency (MHRA). Fraud cases that are complex, sensitive or have a value of more than £1 million are dealt with by SFD. Other fraud cases are handled by local CPS prosecutors. These include pyramid ("Ponzi") schemes, boiler room investment frauds and mortgage fraud. In addition, the division works on difficult corruption and bribery cases, especially concerning public bodies or officials, frauds on government departments or the governments of other countries and cases requiring specialist knowledge such as Stock Exchange practices, regulatory bodies, complex banking issues or shipping law. HMRC has responsibility for investigating all fiscal crimes, which involve activities such as direct and indirect tax evasion, excise duty fraud and tax credit fraud. SFD prosecutes these crimes, which are a major source of income for organised criminals and frequently involve concerted and highly sophisticated attacks upon the tax system. SFD also handles other serious non-fiscal crimes investigated by HMRC, such as illegal arms trafficking, certain breaches of sanctions legislation and associated money laundering. SFD teams have national responsibility in England and Wales to prosecute cases investigated by the DWP's internal investigation department, the Fraud and Error Service (FES). These cases mainly relate to benefit fraud and the vast majority are prosecuted in the magistrates' courts. Benefit fraud is when someone is dishonest in order to receive benefit or knowingly fails to report a change in their circumstances. FES also investigates frauds related to grants (e.g. crisis loans), the access to work scheme, maternity and other allowance fraud and identity fraud (e.g. false or hijacked identity). SFD prosecutes on behalf of a range of agencies with links to the Department for the Environment, Food & Rural Affairs (Defra), including: Animal Health, Centre for Environment, Fisheries and Aquaculture Science, Forestry Commission, Gangmasters Licensing Authority, Rural Payments Agency, The Food and Environment Research Agency and the Veterinary Medicines Directorate. Cases include the illegal use and sale of veterinary medicines, offences against fish and shellfish health regulations, environmental damage, animal welfare crimes, illegal working practices in the food and agriculture industries and crimes related to livestock registration and food labelling. Kristin Jones is Head of Specialist Fraud Division, and took up post in April 2016. Prior to that she was Head of Strategic Relations and International Assistance at the Serious Fraud Office (SFO), having joined as a member of its Management Board in the autumn of 2012. Before joining the SFO, Kristin was a Deputy Director at the Attorney General's Office, leading the Criminal Law Team. 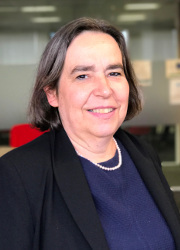 Kristin has also worked at the Revenue and Customs Prosecutions Office, HM Customs and Excise, the Department for Trade and Industry and the Crown Prosecution Service where she worked in CPS London and CPS Headquarters. Kristin has specialised in fraud prosecutions throughout her career. 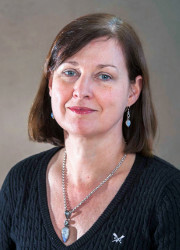 Gale Gilchrist is Deputy Chief Crown Prosecutor. Gale worked in private practice for 10 years before joining Cleveland CPS in January 2002 as a Senior Crown Prosecutor. She then qualified as a Crown Advocate dealing with a number of high profile cases. 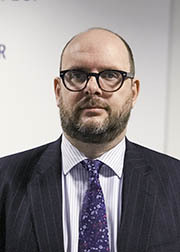 Gale became Head of the North East Complex Casework Unit in 2013. She later completed a 12-month secondment to the Strategy Policy and Accountability Team in CPS HQ where she worked closely with the Attorney General’s Office, Home Office, Ministry of Justice and Cabinet Office on a number of portfolios such as Immigration, Labour Market Exploitation, Europe and Department for Education prosecutions. 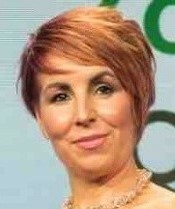 Gale then returned to the North East and continued in her role as Head of the CCU before becoming Deputy Head of the Specialist Fraud Division in October 2017. Janet Potter is Deputy Chief Crown Prosecutor. Janet took up post with SFD in September 2017. Following a short spell in private practice Janet joined the CPS in Merseyside in 1992, first as Senior Crown Prosecutor and later as District Crown Prosecutor, working in teams dedicated to serious sexual offences and Crown Court cases. In 2013, Janet became head of the Complex Casework Unit for CPS Mersey-Cheshire and was later seconded to the CPS Special Crime and Counter-Terrorism Division to head up a team handling charging decisions relating to the 1989 Hillsborough disaster. John Sheehan is Deputy Chief Crown Prosecutor. John has defended and prosecuted complex casework, including serious economic crime, since 1997. In 2006, after working in private practice, John joined HM Crown Prosecution Service Inspectorate (HMCPSI). He led inspections of the CPS and the Serious Fraud Office, which he subsequently joined in 2014 as Head of Policy. In January 2017, John joined the CPS Specialist Fraud Division as a Unit Head in the London Office, and in October 2017 he was formally appointed Deputy Head of Division, responsible for the Birmingham and Leeds offices. 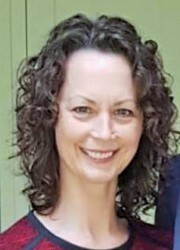 Zoe Gascoyne is Deputy Chief Crown Prosecutor. Zoe joined the Crown Prosecution Service in February 2018 following 16 years in private practice where she was a partner at two leading criminal practices in Liverpool. Zoe was Chair of the Criminal Law Solicitors Association for two years between 2015 and 2017. In 2017, Zoe was named Solicitor of the Year in Private Practice at The Law Society Excellence Awards and also won the Criminal Law Award at Liverpool Law Society Awards.